With a stay at Hampton Inn & Suites - Stillwater, you'll be centrally located in Stillwater, within a 10-minute drive of Oklahoma State University and National Wrestling Hall of Fame. 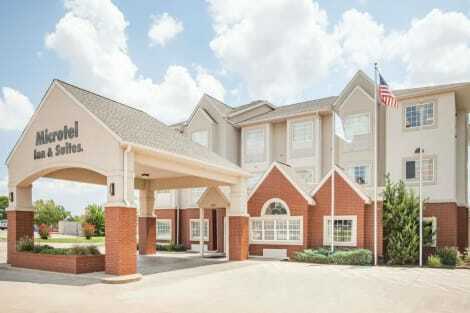 This hotel is 0.9 mi (1.4 km) from Gallagher-Iba Arena and 1.8 mi (2.8 km) from Boone Pickens Stadium. 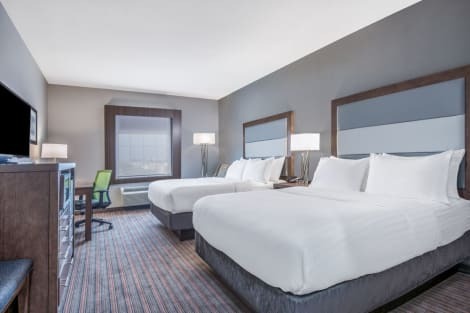 With a stay at Fairfield Inn & Suites Stillwater in Stillwater, you'll be in the business district, within a 10-minute drive of Oklahoma State University and National Wrestling Hall of Fame. This hotel is 0.7 mi (1.1 km) from Gallagher-Iba Arena and 1.6 mi (2.5 km) from Boone Pickens Stadium. Grab a bite from the grocery/convenience store serving guests of Microtel Inn & Suites by Wyndham Stillwater. A complimentary hot/cold buffet breakfast is served on weekdays from 6:30 AM to 9:30 AM and on weekends from 7 AM to 10 AM. With a stay at Wyndham Garden Stillwater in Stillwater, you'll be near the airport, within a 10-minute drive of Oklahoma State University and National Wrestling Hall of Fame. This hotel is 1.1 mi (1.7 km) from Gallagher-Iba Arena and 1.4 mi (2.3 km) from Boone Pickens Stadium. Featured amenities include a 24-hour business center, express check-in, and express check-out. Planning an event in Stillwater? This hotel has facilities measuring 4245 square feet (394 square meters), including conference space. Free self parking is available onsite. Featured amenities include a 24-hour business center, express check-in, and express check-out. Planning an event in Stillwater? This hotel has facilities measuring 1400 square feet (130 square meters), including a meeting room. Free self parking is available onsite.